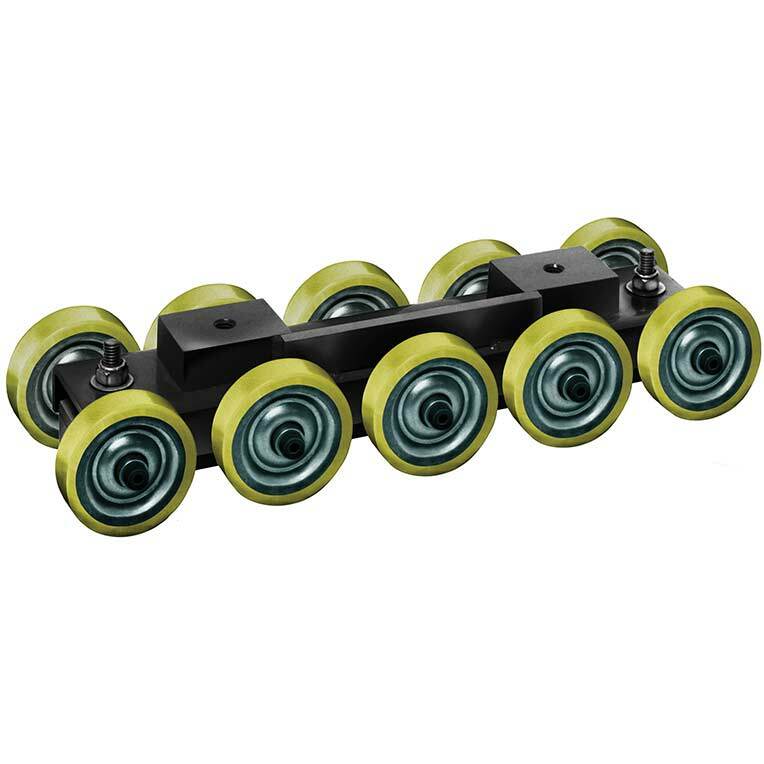 The powerful magnets hold steel blanks securely up against it's long series of rollers, minimizing flexing or bending of the sheet as it is conveyed. The neoprene wheels allow blanks to roll easily into the press. The magnet can be adjusted to accommodate the size and thickness of different blanks.